ALS Environmental offer a comprehensive range of environmental testing solutions including expert laboratory analysis, in field testing and on site sampling monitoring. Our laboratory services are designed to help our customers meet their environmental regulatory requirements by offering accurate, accredited, legally defensible, analytical data. Providing our customers with an extensive range of UKAS, MCERTS and DWTS accredited analytical services for water, land and waste monitoring, ALS Environmental is one of the UK and Ireland’s premier providers of environmental testing services. We are able to respond in a timely and efficient manner to your analytical and sampling requirements, via our network of laboratories, drop-offs and service centres across the UK and Ireland. This network also means we are able to provide customers with additional capacity and the reassurance of back-up laboratory systems. The ALS Environmental network includes 25 locations in 13 countries and still continues to grow. 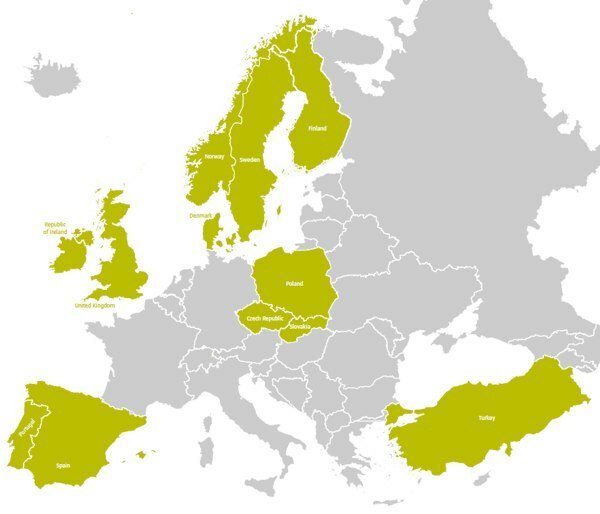 Main laboratories are located in Czech Republic, Scandinavia, United Kingdom &amp; Ireland and Turkey. While varying in size and capabilities, the network performs an extensive range of physical, chemical, microbiological, biological, radiological, ecotoxicological analysis to meet the needs of local and regional clients. Inter-office support and courier arrangements facilitate timely access to the full range of services and on-time delivery of results.